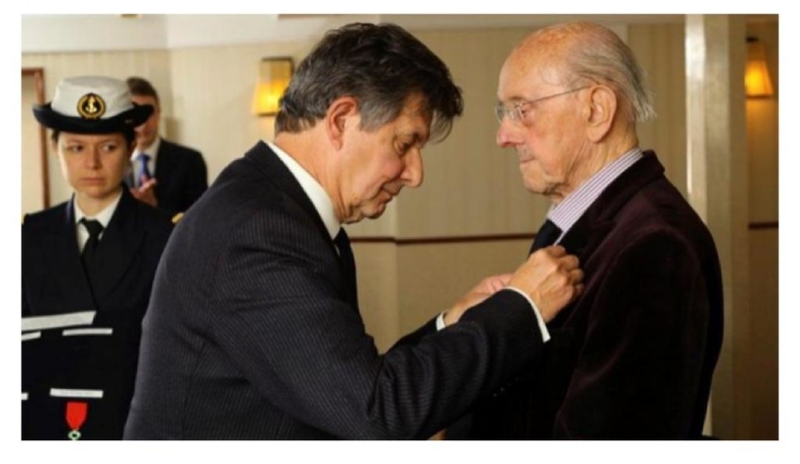 Patrick (Paddy) Reardon, a parishioner at The Most Holy Redeemer Catholic Church, Billericay, recently received the Legion d’Honneur with three other British Royal Navy veterans in recognition of their services in helping to liberate France on the D-Day landings almost 75 years ago. “Today is a reminder of why this June we must show our special generation that we will never forget the debt we owe for the peace and freedom we now enjoy. I would like to thank the French Embassy for their efforts in honouring these men for helping to liberate Europe 75 years ago. Patrick Reardon, 93, volunteered for D-Day aboard HMS Sheffield, landing on Omaha Beach on D-Day. John Nicholls, 93, served on HMS Argonaut, firing on German gun batteries on Normandy and driving landing craft to deliver supplies from ship to shore. Charles Kavanagh, 92, helped to land tanks on Sword beach on D-Day and then supplies for the American Army on Omaha beach. With one hundred days to go until D-Day 75 commemorations in the UK and France, the event offered the chance for the veterans who took part in the Normandy landings in 1944 to share their stories and experiences. The Imperial War Museum will retell the magnificent land, air and sea story through its Second World War collection and its three historic sites: HMS Belfast, IWM Duxford and the Churchill War Rooms. 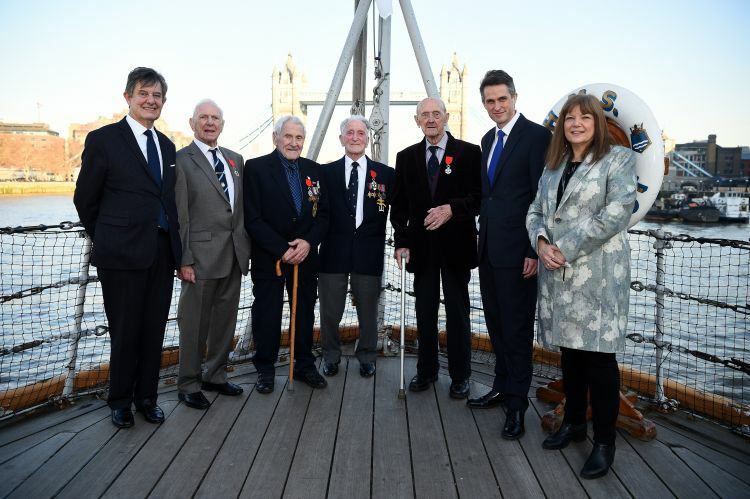 After receiving the medal itself by post, back in early December 2018, Dad then received an invitation to officially accept the Legion D’Honneur, to be presented by the French Ambassador, Jean-Pierre Jouyet, aboard HMS Belfast on 26th February 2018. He was very happy to attend and was allowed five guests to attend with him: a daughter and her husband, a son and his wife and one grandchild from his other daughter who was unable to attend. His eldest son and all his family live in North America so were unfortunately not able to be there. 26th February turned out to be the hottest February day on record and was a wonderful accompaniment to such a very special occasion. Dad was piped aboard HMS Belfast and saluted by a row of dignitaries and servicemen with such respect and it was an extremely proud and emotional moment for us all. The presentation commenced with a short welcome speech by the Secretary for Defence, followed by the same from Jean-Pierre Jouyet offering sincere thanks for their part in the liberation of France. Then followed a very moving presentation ceremony where details of each of the four veterans’ involvement in D-Day was read out by a French soldier and the medals were presented, again by the French Ambassador, and pinned to their chests, followed by a well-deserved round of applause for each veteran. The ceremony concluded with the singing of both the French and English National Anthems. Although Dad is proud to have been awarded this wonderful accolade, and thoroughly enjoyed the warmth and appreciation shown at the presentation ceremony, he is a very private man and has been rather overwhelmed and mystified by the attention he has since received.